Hello there, folks. 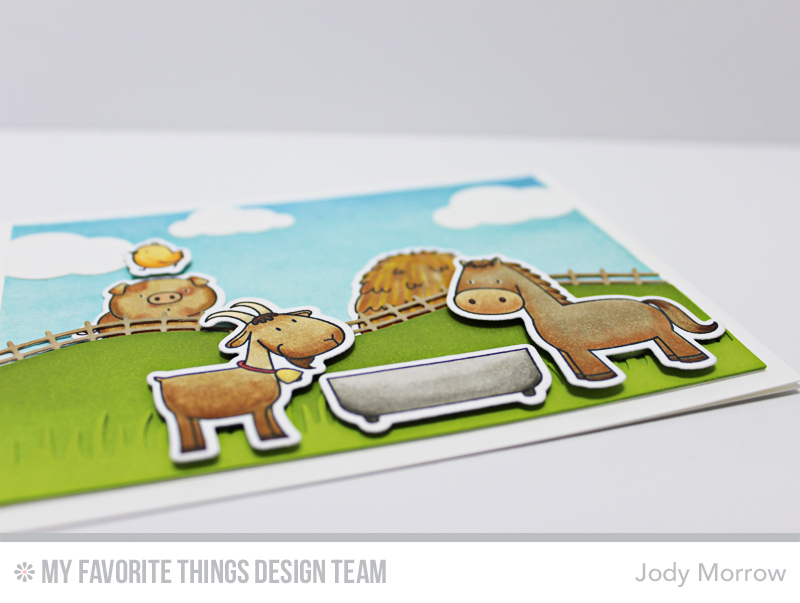 :) I have a down-home country card to share with you featuring the adorable The Whole Herd stamp set and Die-namics, Rolling Hills, Cloud Cover-Up, and Grassy Edges Die-namics. The animals were all colored in a similar neutral color palette. They are gathering around the food and drink in the pasture. :) The background was created by sponging ink on it. 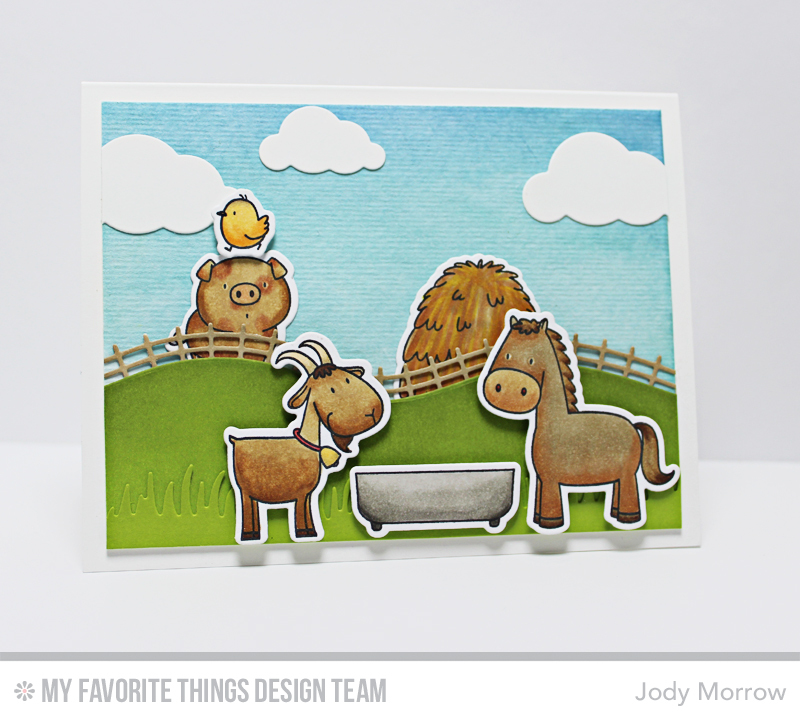 The animals were colored with Copic markers.